Circles and seasons go round and round. 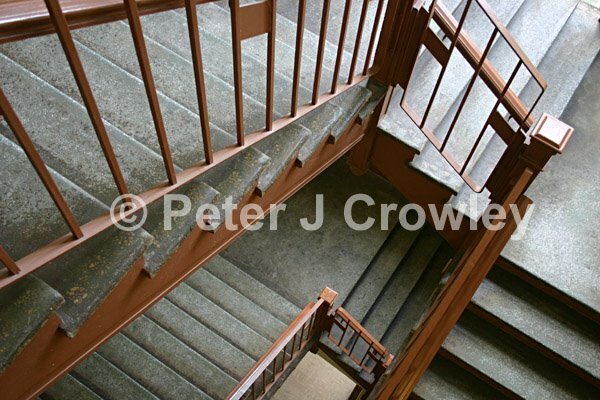 Once an elementary school, “Don’t Run on the Stairs” now elderly housing with memories of running on stairs. Beautiful light in this shot. Love the perspective, too.